The Bugatti Chiron was revealed in 2016 to much fanfare from supercar enthusiasts, each of them waiting with bated breath for that record breaking top speed run. But, two years have passed without Bugatti making any attempts at the record and all we have received from the French marque are broken claims and promises. Bugatti’s CEO Stephen Winkelmann recently reiterated the same while speaking with CarAdvice. “I think it could easily go 440-450 km/h (273-280 mph), but we’ve not made the test,” Winkelmann said. 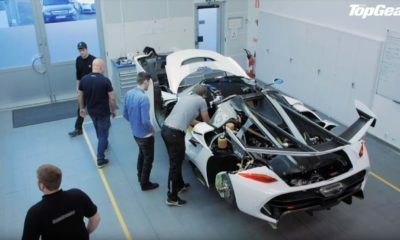 “If you do it then it’s not something that needs to be done only once, but all the cars need to be built in a certain way.” With this comment, the CEO was also taking a jab at Koenigsegg which broke the top speed record last year with the Agera RS. “Top speed is one slice of the performance cake, but being so far at the edge in terms of performance brings penalties,” Winkelmann said. Bugatti was expected to attempt a top speed record with the Chiron next year, but Winkelmann’s comments suggest that it is less likely to happen. This is not a comment Bugatti would have made just three years ago and hints that the French hypercar maker has planned to move in a different direction. This does not however mean that the endeavor to make faster supercars will stop. 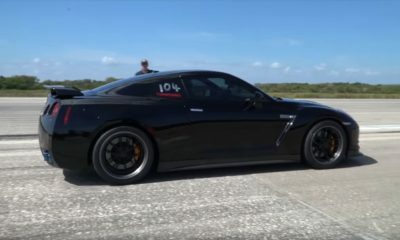 With new players like Hennessey and SSC claiming to cross the 300 mph mark, it’s only going to get more interesting if you ask us.